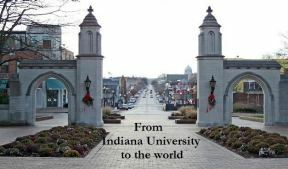 Our vision is to raise up Christian leaders from Indiana University trained to minister wherever God calls them to go. Think about some of the most influential people you knowteachers, doctors, law makers. All of them attended the university. If we can win them to Christ, build them in their faith on the college campus today, they can be sent to make an impact for Christ and help change the world tomorrow. An experienced staff team leads a diverse outreach to many areas of campus including athletes, international students, ROTC students, graduate students and faculty. Our staff team also lead short-term mission trips during Spring and Summer Breaks to all parts of the world including inner-city Chicago, Berlin, Germany, Closed East Asia and popular tourist areas like Ocean City, NJ. These projects provide dynamic community building & ministry experience for many students every year. 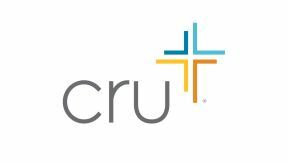 Each year we trust the Lord to provide financially so we can publicize well, resource students well with quality Bible Study and discipleship materials and provide helpful resources for those seeking Christ for the first time. Investments go to help students attend key conferences who may not be able to because of financial limitations. We also host outreaches and events which draw hundreds and thousands to hear about Christ. Thank you for prayerfully considering how you might invest in Gods work at IU. We are trusting the Lord to provide 100 people who will commit to give $100 each year and 10 people to invest $1000 each year. Will you join us to make a difference at IU and in the world? Any donation is appreciated.